Never really gotten into the Disney pin-collecting craze, although always consider it when we're down at WDW. Wouldn't have a clue where to begin, though! Want to find out more? 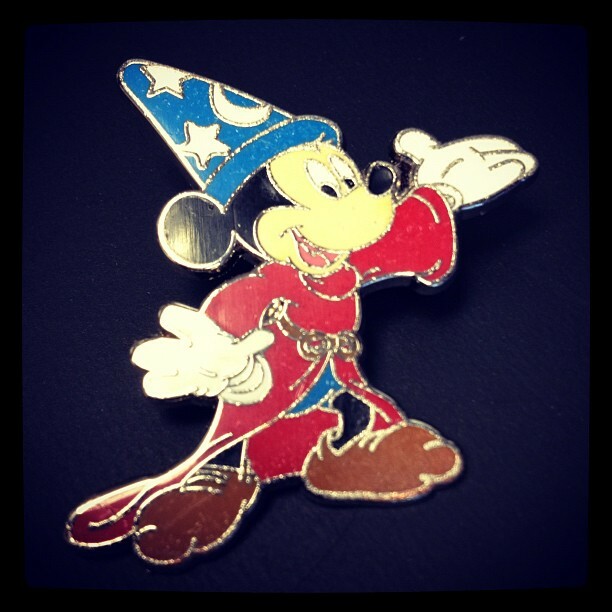 Check out the official Disney pins website. Maybe next time we're at the World, I'll have to pick-up a couple of favorite charcters/attractions to get a collection started. 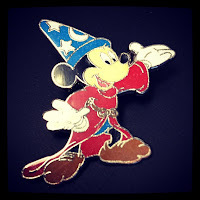 Or, perhaps a good idea to let the kid(s) pick-out a pin each year to start a collection and celebrate each trip to Disney with a unique souvenir. Note, we actually did find this pin stuck to the tire of our stroller on one visit, so I guess we do have a collection started - and not a bad one to start with either - the character that launched it all!